Something odd is in motion in Los Angeles. On a recent day at the office, colleagues debated the merits of the Boring Company’s proposal to alleviate Dodger traffic via levitating tunnel pods. I stepped out for coffee in the afternoon and was almost run over by an elderly man on a dozen scooters, balanced precariously as he rebalanced dockless inventory. And that night, I sat in traffic on the 10 Freeway listening to commentators discuss Uber’s ostensibly imminent eVTOL aircraft, while a venture capitalist friend rested his head in the sleeping compartment of a Cabin bus, carrying him back to Silicon Valley from Santa Monica. Even without hover-sleds and flying cars, the Los Angeles megalopolis is in the midst of a transformation in mobility. Neighborhoods from downtown to Silicon Beach have been carpeted in scooters and bikes. The Uber and Lyft revolution faces competition from the various dockless two wheelers and Via’s ridesharing as a service, launching in Los Angeles soon. Flixbus, looking to expand out of European dominance, targeted LA as its hub for inter-city private bus service. 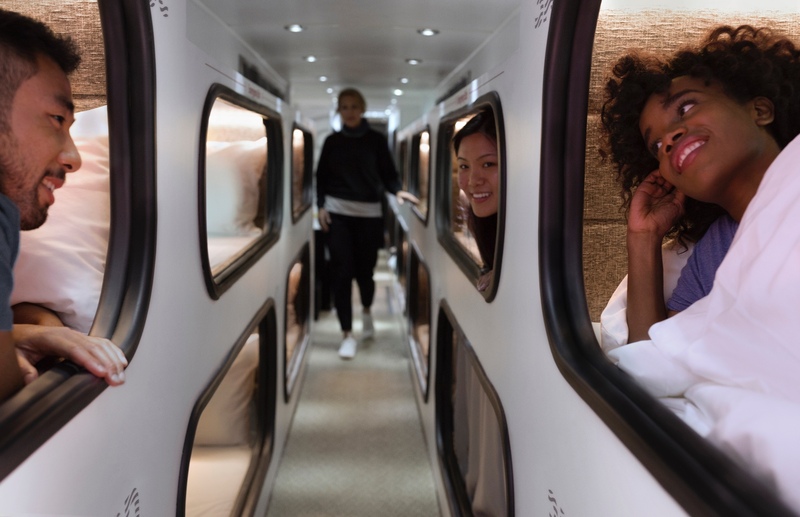 And Cabin’s luxury sleeper bus has been offering a premium alternative to Megabus to and from the Bay Area for months. Los Angeles is far from the exception. Autonomous cars are driving people to and from school in Arizona, senior citizens around retirement homes in Florida, and a small army of journalists in an endless loop around Northern California. Starship’s delivery bots have rolled through more than 100 communities, and Kroger shoppers can let Nuro bring them the milk in Scottsdale today. 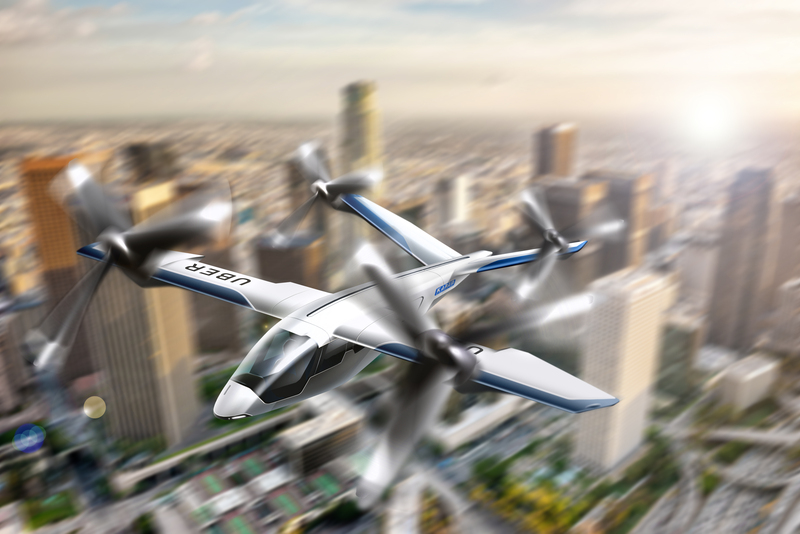 And drone companies from around the world are vying for permission to replace vans and bikes with quadcopters for just-in-time deliveries, while nearly three dozen cities have signed onto the Urban Air Mobility Initiative to make flying cars a reality. Yet we fear that this future may not be realized if start-ups are given the red light by well-meaning regulators. As the cities of the world experience a shakeup they haven’t seen since the subway, we have three ideas to help policymakers bring about more equitable, efficient, and environmentally friendly transportation systems, and answer a fundamental question: how on earth do you plan for a future this wild? It’s far from clear how these transformative, and multi-modal, technologies will fit together. Equally uncertain is the right framework to govern this puzzle. Proscriptive solutions risk killing innovation in its infancy. The solution is to encourage regulatory sandboxing. Regulatory sandboxes are mechanisms to allow emerging technologies to operate outside the constraints of normal regulations and to inform the development of future rules. These protected spaces, increasingly common in areas like fintech or crypto, allow the evolution of what Adam Thierer calls “soft law” before policymakers make hard decisions. Rule 2: Don’t pick winners and losers. Other cities haven’t gone so far as to ban scooters outright, but are nonetheless falling into the trap of replacing old cartels with new technocumbents. Santa Monica came very close to banning Lime and Bird, the two most popular scooter companies among locals, in favor of Uber and Lyft, who had never deployed scooters in the city before. Only after outcry from ordinary beach dwellers did the city council allow all four companies to operate. Still, no other scooter companies are allowed to operation within city limits. Remember PickupPal? They were around well before Uber or Lyft, but you can’t call a PickupPal today. A Canadian pioneer in ridesharing in the early days of smartphones, the company was thwarted by incumbents raising a law banning pickups for profit. Rather than recognize the benefits of ridesharing, authorities crushed it (along with another popular ridesharing company Allo Stop). A technology-enabled last mile solution was regulated out of existence. Ultimately, solutions, not sanctions, will allow cities to welcome this weird new transportation future and realize it’s transformative potential. The abnormalization of transportation presents a tremendous challenge for city officials, planners, and legislators. It’s a road worth traveling.